sometimes you come across something random in the street and with a little luck you happen to have a camera in your bag. 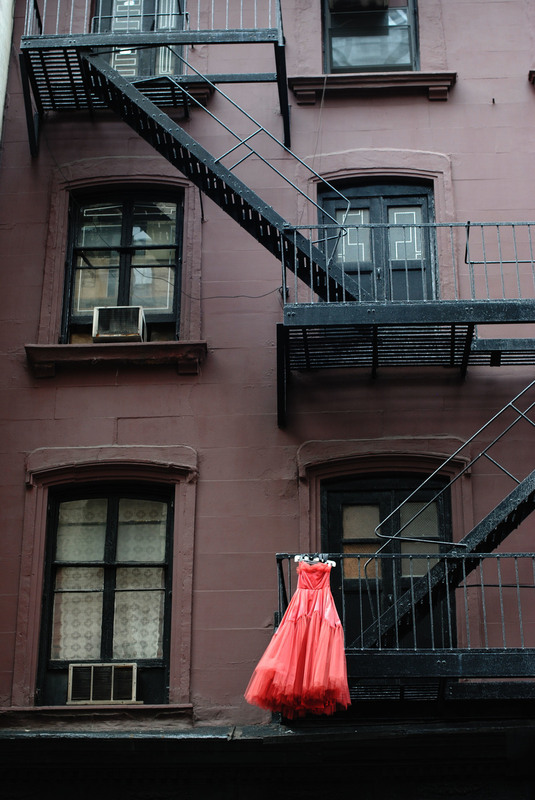 i saw this pink dress hanging from a fire escape and had to snap a shot. it looks a bit eerie just hanging there, but at the same time, i loved the look of this dress up against a grungy building.